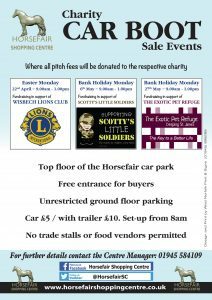 The Horsefair Shopping Centre will be holding one of their annual charity car boot sale events on Easter Monday, 22nd April on the top floor of its car park. 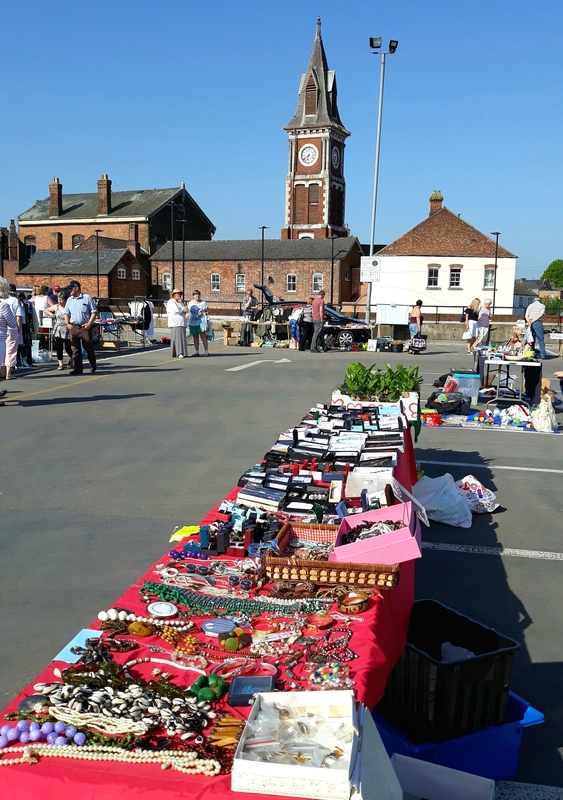 Kevin Smith, Manager of the Horsefair shopping centre, said: “Our car boot sales are always a great way to raise funds for local charities. 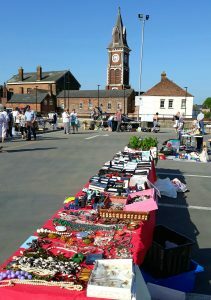 Not only that but they are a great way to grab a bargain and to sell some items you’ve had sitting around the house”. 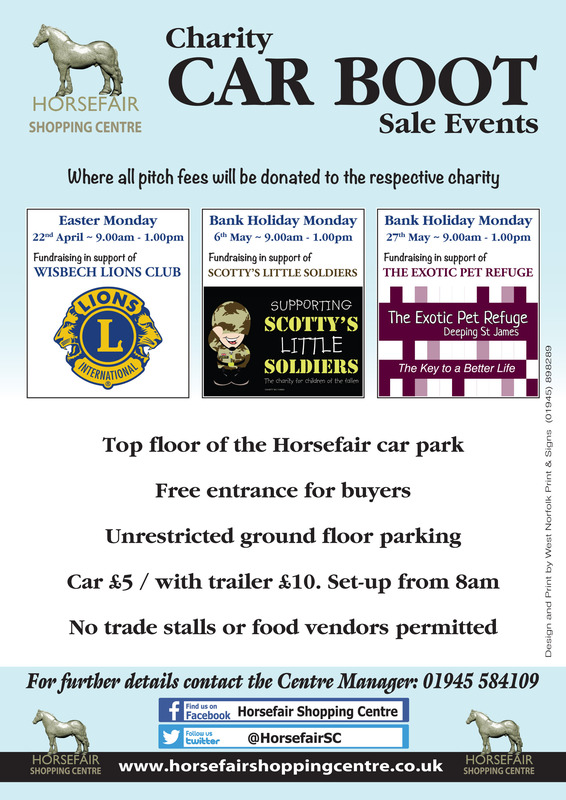 For further details contact Kevin Smith Centre Manager on 01945 584109.